An essential nutrient required for a myriad of functions, choline should be part of a well-rounded diet. 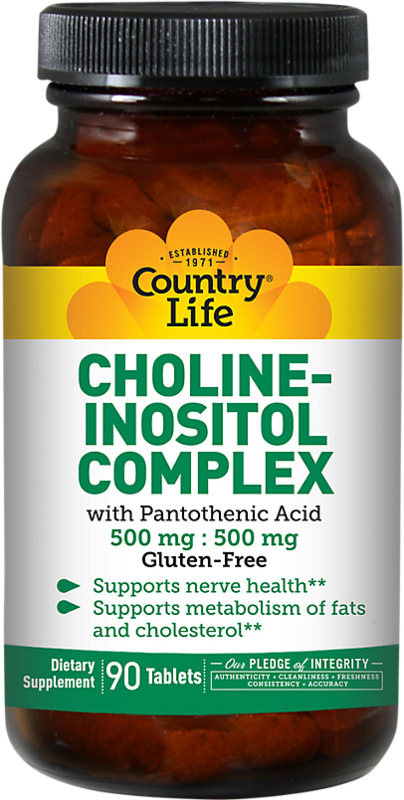 Studies indicate that only about 10% of Americans consume enough dietary choline. Additionally, endurance athletes, and people who regularly consume alcohol, are at risk of choline deficiency. Now is an important time to admit that you're probably among the looming majority of choline neglectors. Choline is classified as an essential nutrient. While it can be synthesized within the body, we only produce insufficient amounts -- and doing so compromises the structural integrity of our cells. Phosphatidylcholine helps to compose the lipid membrane of cells, and when enough free choline isn't available, your body breaks this structure down to obtain the compound. 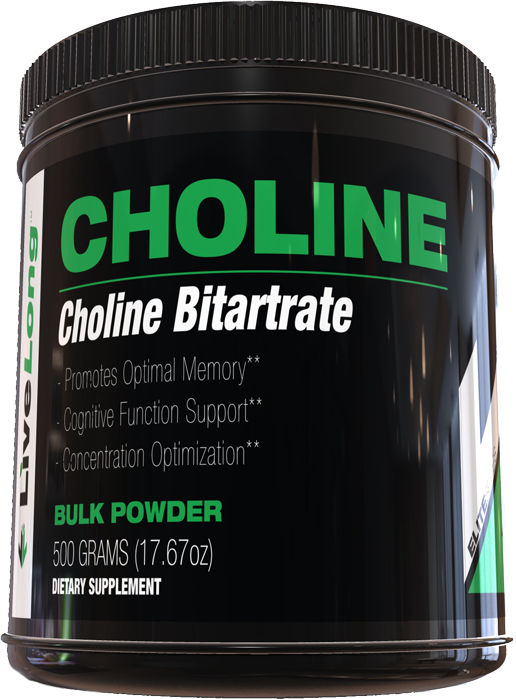 Choline is a precursor to the neurotransmitter acetylcholine, which is implicated in memory, intelligence, and mood. Animal studies suggest that high choline intake protects the brain's ability to form and recall memories despite the progression of age. In particular, "choline-supplemented older mice performed as well as young three-month-old mice." The supplemented mice were also observed to have increased communication within the hippocampus. Higher dietary intake of choline is associated with lower inflammatory markers, and reduced symptoms of allergic rhinitis. Acetylcholine is the most abundant neurotransmitter in the entire body, responsible for muscle contractions. "Consumption of supplemental choline can also increase the release of acetylcholine from nerve endings, including those that cause skeletal muscle to contract," according to a study published in Pharmalogical Reviews. Unsurprisingly, intensive exercise results in a significant reduction in plasma choline levels, particularly prolonged and strenuous activity. 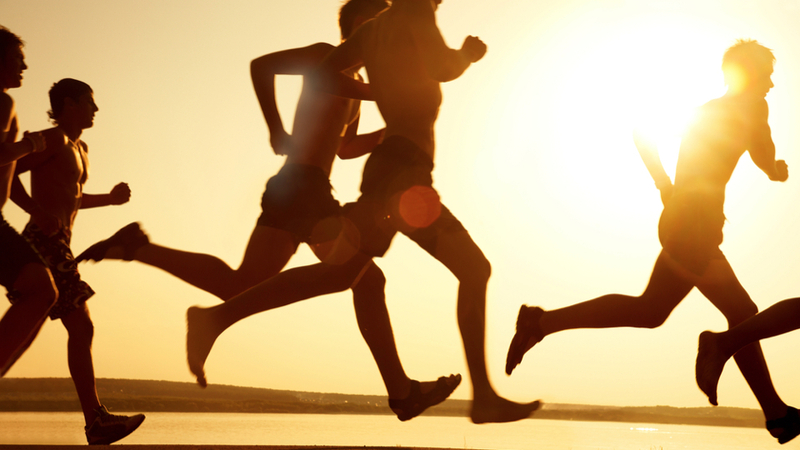 After two hours of exercise, participants lost about 40% to 50% of free choline. The good news is that ingesting choline pre-exercise can not only prevent this loss, but raise it above baseline for up to two hours post-exercise (2g of free choline was used in this study). In one study, individual performance was enhanced after choline supplementation compared to when the same individuals consumed a placebo. 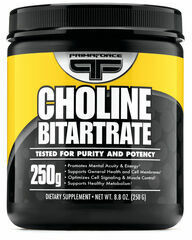 Many different choline formulations are available. There is a huge price disparity between certain supplements. Some are very cheap and others comparatively expensive. Naturally, you would want potency to increase along with price -- which the expensive ones certainly do -- but the real advantage of CDP-choline (expensive) over something like choline citrate (cheap) is its fanciness. 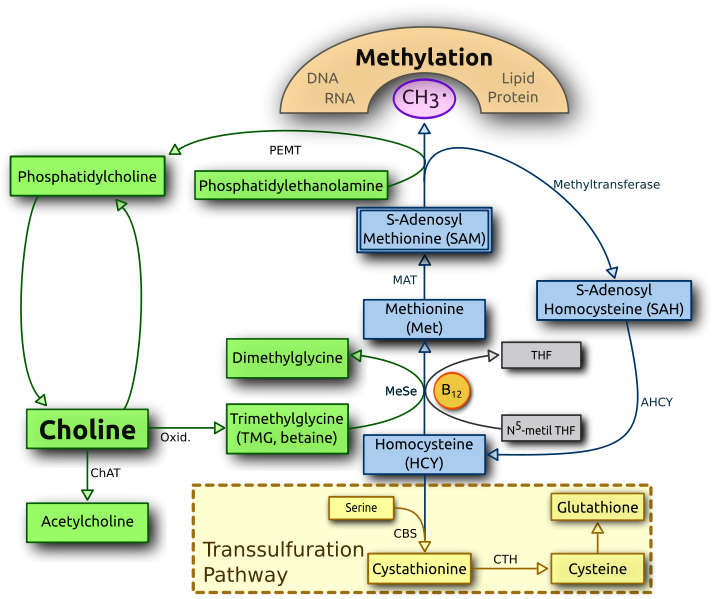 All choline precursors follow the same protocol: choline bound with some other chemical. For the cheap supplements, the choline is bound to another relatively inactive compound, so you're essentially getting just choline. But the expensive acetylcholine precursors consist of choline bound with other biologically active compounds that enhance absorption or produce other reactions that work to multiply choline's effects. Below is a list of the most common formulations. Each has its own particular benefits and detractions. These two are thrown together because they are so similar in the most important respects. Simple choline salts are cheap as dirt, but have questionable potency. Users have complained of stomach aches because of the amount consumed for desired effects, but you get what you pay for. You may ask why these compounds are not very potent. 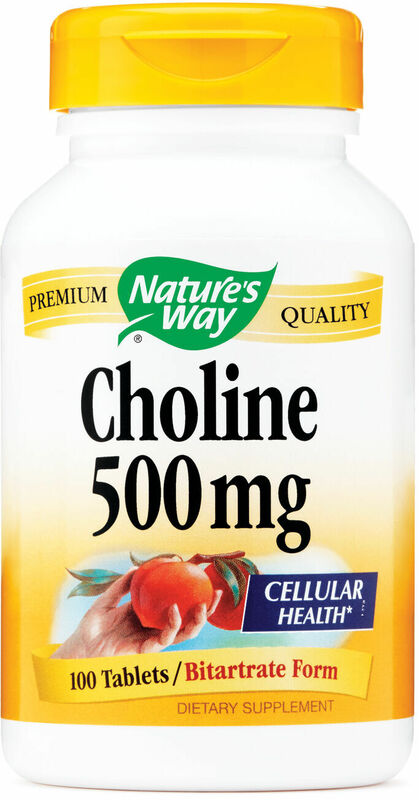 Technically free choline, due to its polarity, would not be able to cross the blood-brain barrier. While we have a choline transport system, it's sadly inefficient and seems to decline with age. 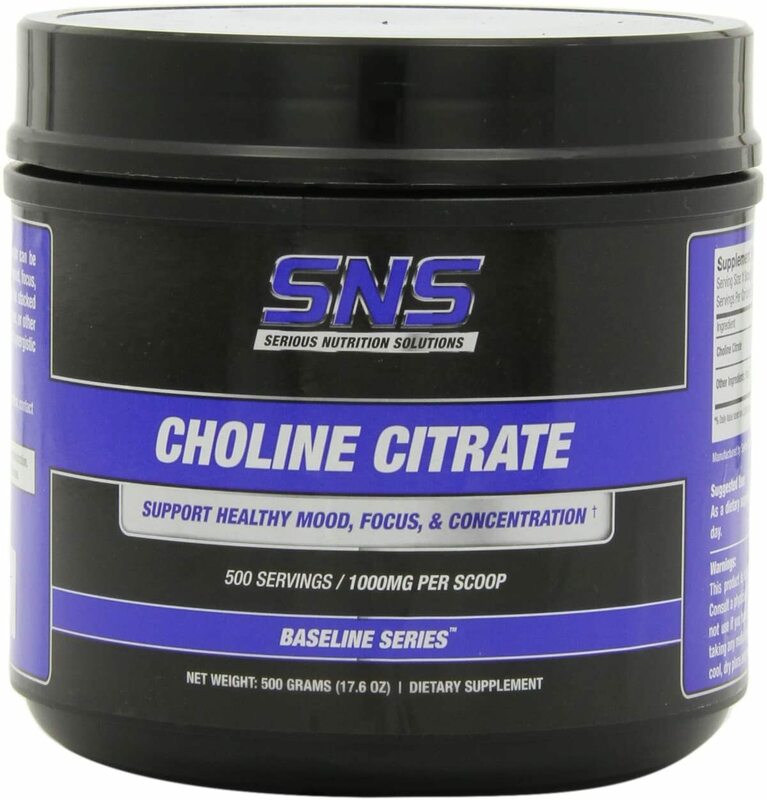 Hands down, this is the best choline source available. 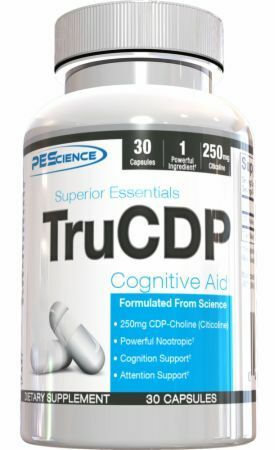 Multitudes of animal research and fair amounts of human research attest to the efficacy of CDP-choline, or citicoline. CDP-choline is more expensive than bitartrate and citrate, but generally cheaper than alpha-GPC. A natural choline compound already swimming around your brain and derived from soy lecithin, this is probably the most bioavailable choline source, but also the most expensive. You should expect similar effects as you would with citicoline. 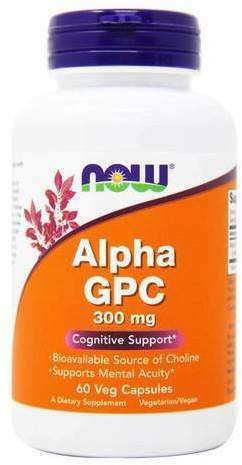 One study found alpha-GPC more effective than citicoline for vascular dementia, with another showing higher plasma choline levels after alpha administration over CDP. As you can see, alpha-GPC and CDP-choline are the two rock stars of acetylcholine precursors. 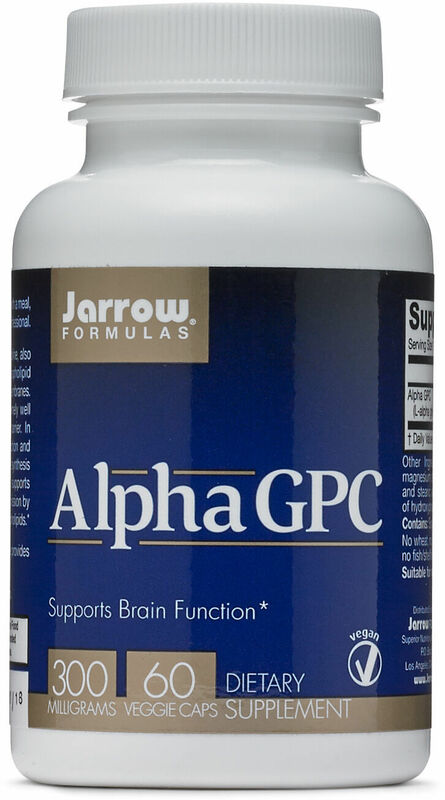 Some studies suggest GPC is better, but there is just so much more research attesting to the efficacy of CDP-choline. You may notice by now that you need an acetyl to go with that lonely choline for magic to happen. That is absolutely true, and a great addition to a basic choline stack is ALCAR, or acetylcarnitine. Acetyl L-carnitine is great stuff -- no argument. It's naturally produced in your body during strenuous exercise, and supplementation has dramatic effects, irrespective of its role in energy production. By donating the acetyl group, ALCAR enhances acetylcholine production. Both ALCAR and L-carnitine stimulate muscle production. It stimulates nerve growth factor release. Improves neuronal membrane fluidity (more communication). 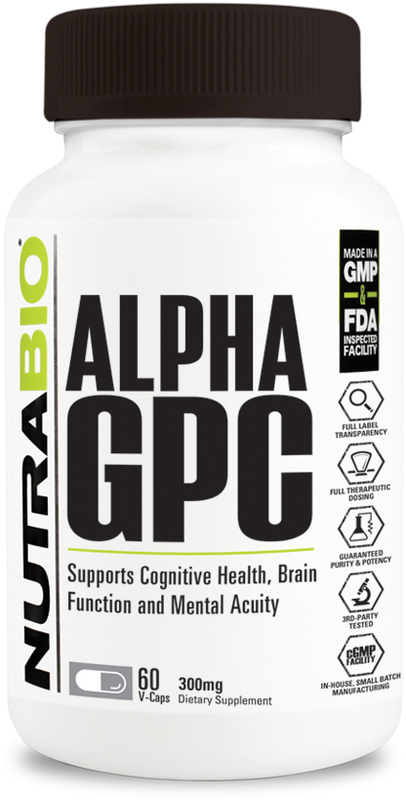 Increases the utilization of glucose, ketone bodies, and lipid substrates in the brain. 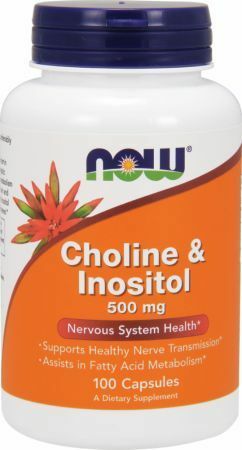 Improves choline uptake (thus acetylcholine synthesis). Aside from the pro-cognitive effects, ALCAR may have overall lifespan enhancing effects. Simply put, our mitochondria (powerhouse of cells) have to put up with decades of abuse, and they produce toxic reactive oxygen species (ROS), or free radicals. A damaged mitochondrion is leaky and our current understanding of the aging process points many fingers toward this compromised structure. "Acetyl-L-carnitine, a high-energy mitochondrial substrate, appears to reverse many age-associated deficits in cellular function." This compound is frequently cited as a choline precursor, but it probably has little if anything to do with acetylcholine production. Rather, DMAE seems to bind with phospholipids that compose cellular membranes. Where phosphatidylcholine would be, phosphatidyl-dimethylaminoethanol now takes its place, increasing membrane permeability and antioxidant capacity. 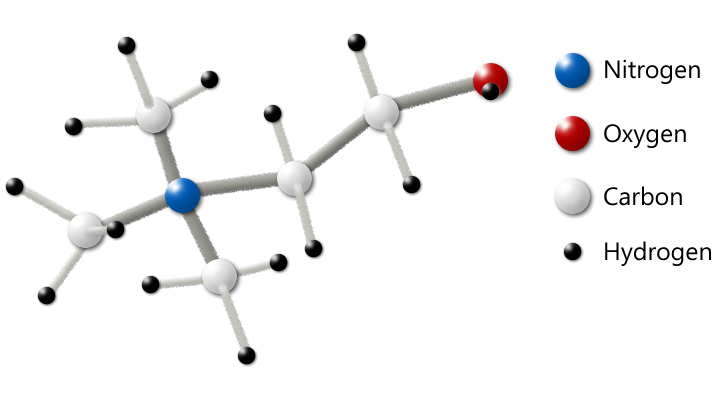 Also known as meclofenoxate, this is basically supercharged DMAE (specifically an ester of DMAE). 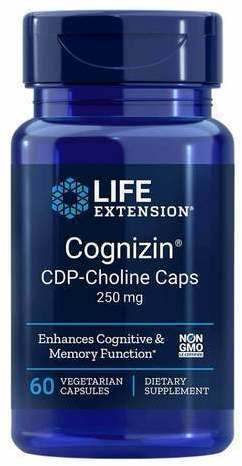 Though limited evidence suggests mental stimulation and memory improvement, it has beneficial phospholipid properties with little direct effects on choline or acetylcholine. If you are taking any of the racetam derivatives, then you probably know that the cholinergic system is involved with their effects. Many people believe this means your brain on piracetam, for example, will consume more choline than otherwise. Two studies, conducted on rats, assert that piracetam and oxiracetam reduces hippocampal acetylcholine levels. [32,33] Regardless, other animal studies suggest a synergistic effect with racetams and a choline source. 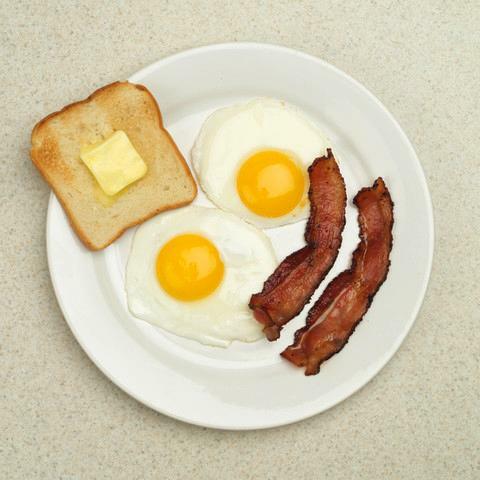 For many, choline and piracetam is like bacon and eggs -- it just feels right for them to keep each other company. Although it's not technically a "racetam", Noopept is structurally very similar, and yields a piracetam-like effect, but many think it's even better. It stacks incredibly well with choline -- you can read more on the Noopept blog post linked just above. According to the Institute of Medicine, the adequate intake (AI) of choline is 425mg/day for women and 550mg/day for men. 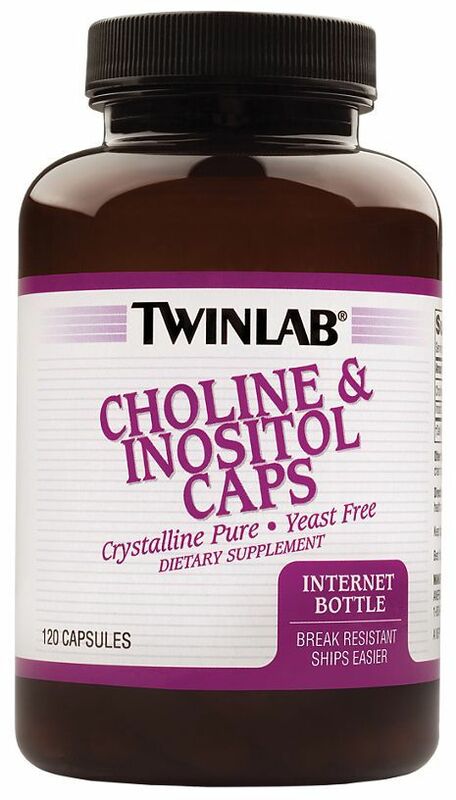 As a reference, any of the choline salts (bitartrate, citrate) are about 41% free choline. So something over 1000mg should satisfy your minimum daily requirements. 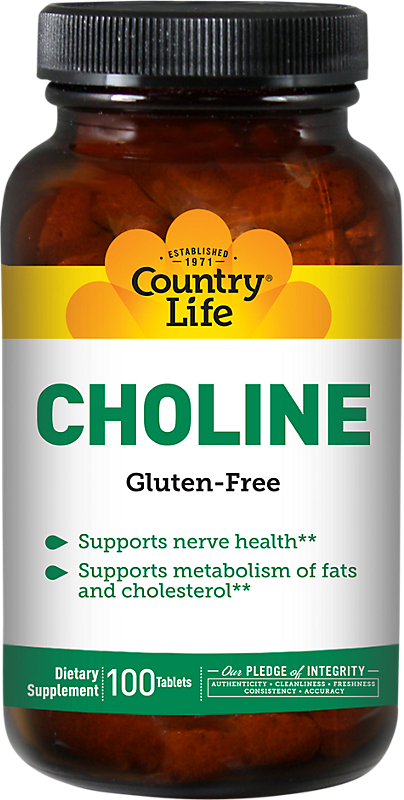 Remember that choline is present in many foods, most prominently in beef, beef liver, and eggs. Hands down, CDP choline (citicoline) is the best choline source available. It's difficult to determine what the optimal dose would be for cognitive function. The cholinergic system is tricky, and everyone is different. 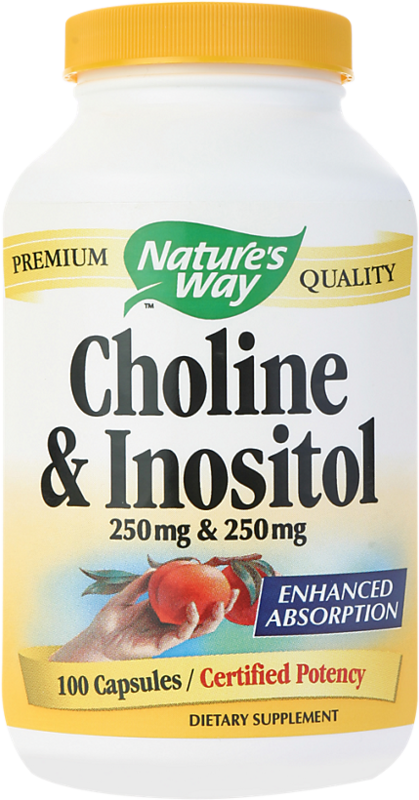 With that said, the most common dose for all choline precursors falls somewhere between 250mg to 2000mg. None of these statements constitute medical advice. These supplements are not regulated or approved by the FDA. You should consult a medical doctor before embarking on self-treatment. The side effects of choline supplementation seem few, mild, and transient. As mentioned above, people occasionally complain of stomach discomfort. If you happen to have the rare genetic disorder, trimethylaminuria, consuming too much choline will make your body exude the odor of overripe fish. Precursors of acetyl groups in acetylcholine in the brain in vivo. http://www.ncbi.nlm.nih.gov/pubmed/?term=Biochim+Biophys+Acta.+1970+Jun%3B208(3)%3A538-40. Acetyl-L-carnitine as a precursor of acetylcholine. http://www.ncbi.nlm.nih.gov/pubmed/?term=Neurochem+Res.+1990+Jun%3B15(6)%3A597-601. Zeisel, Steven; Annual Review of Nutrition; "Choline: critical role during fetal development and dietary requirements in adults;"
Conlay LA, Wurtman RJ, Blusztajn JK, Covielia IJ, Maher TJ, Evoniuk GE; NEJM, "Decreased plasma choline concentrations in marathon runners;" 1986. 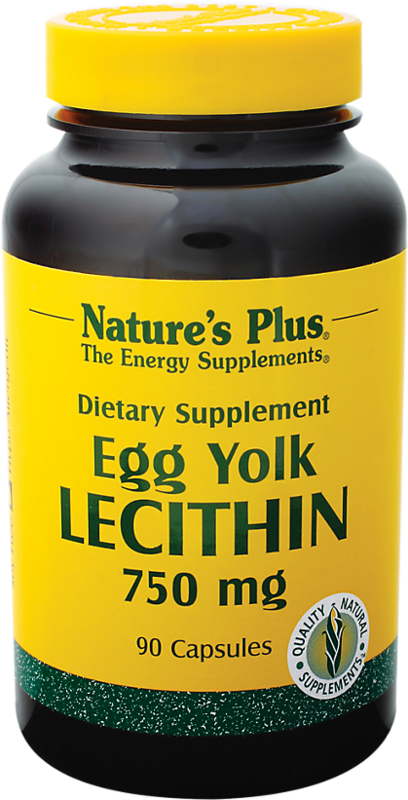 Nature's Plus Egg Yolk Lecithin was created. 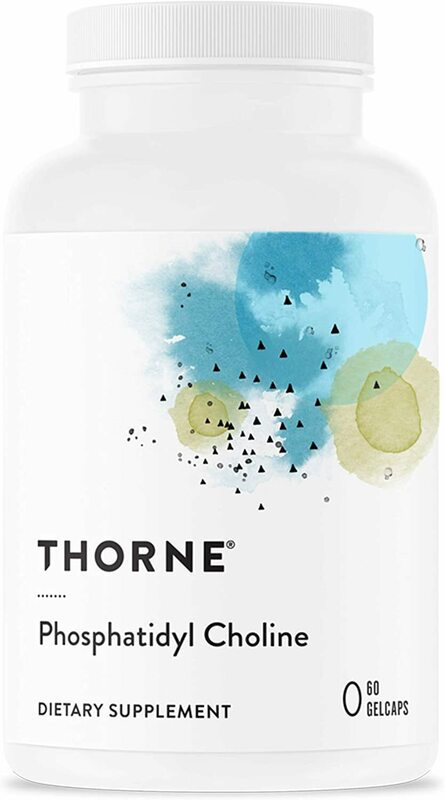 Thorne Research Phosphatidyl Choline was created. 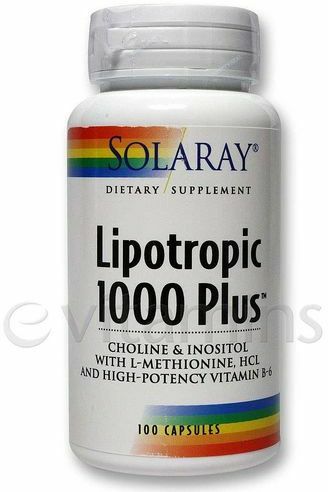 Solaray Lipotropic 1000 Plus was created. Sign up for future Choline news! Click the button below to sign up for future Choline news, deals, coupons, and reviews! 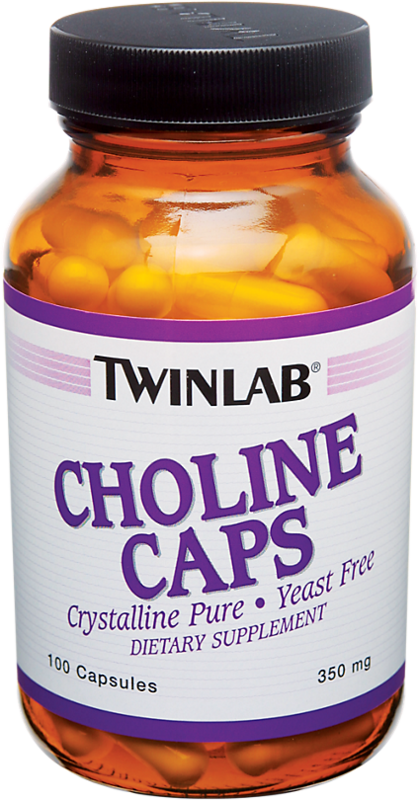 Sign up for future Choline deals and coupons! Click the button below to sign up for future Choline deals, news, and coupons! Subscribe for more Choline news and alerts! Subscribe to PricePlow on YouTube or click the button below to sign up for our latest Choline news and reviews! $30.58 This is a Buy 1 Get 1 FREE offer!